Scuba Diving Fiji: How Does SeaWeb Help Protect the Ocean? How Does SeaWeb Help Protect the Ocean? SeaWeb is the only organization exclusively dedicated to ocean communications. So, we understand the importance of continually nurturing new leading voices for a healthy ocean. One important focus of our communications is to help make the seafood marketplace more environmentally, socially and economically sustainable. We do this by facilitating dialogue between all those in the business--from the fishermen and fish farmers to the seafood suppliers, distributors, marketers and retailers--and those in the greater ocean community, including environmental nonprofits, scientists, governments and journalists. In Vancouver, Canada, we will be hosting the ninth annual international Seafood Summit, with the theme of "Responsibility without Borders," from January 31 to February 2, 2011. Each Summit brings together hundreds of delegates from all around the world to explore strategies for addressing the sustainability challenges facing the seafood industry. The program provides opportunities to network, listen to presentations, attend workshops, participate in discussions and take field trips to experience all aspects of the industry. Check out this video of attendees at last year's Seafood Summit, "Challenging Assumptions in a Changing World," held in Paris, France, as they talk about how the Summit has helped the industry make progress toward improving the sustainability of the global seafood supply chain. Why wouldn't you want to help us continue this important work by making a gift to SeaWeb? Make your tax-deductible gift online at our website at www.seaweb.org or via mail to SeaWeb, 8401 Colesville Road, Suite 500, Silver Spring, MD 20910 before December 31, 2010, to ensure that you receive the important tax benefits of your gift this year! Great scuba diving blog! I will suggest Your blog to our readers. 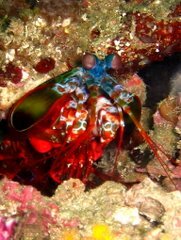 I have been enjoying scubadivingfiji.blogspot.com as a lurker for a short time now. I concluded that I want to get involved and interact with the folks here. I'm expecting to join lots of entertaining people and discover some fantastic stuff. I'm hoping this post did not end up in an inappropriate section. I am sorry if "Aqua" is inappropriate. am i able to take a car insurance provider to small claims court? The insurance provider rejected my claim, (I would go ahead and take at fault driver to small claims nevertheless , I have no address to serve them or send a demand letter). The other driver was at fault however his insurance provider states there is really a difference in our statements so that they need to take the word of their insured vs. my word. It is my opinion they acted in undesirable faith and did not execute a proper investigation would this even be a valid claim in small claims court? I wish to consider the the culprit drivers insurer (not my own) to small claims for any damages to my car.